THE ZIEGLER MAHAL RUG - Stand apart for their subtlety of color, spacious design, and extreme high quality of craftsmanship. Mahal carpets produced in the late 19th and early 20th centuries were among the most popular and commercially successful Persian rugs of their time. Created by village weavers primarily for sale to the west, they are among the earliest rugs of the 19th century’s carpet-making renaissance, and thus integral to the development of Persian carpet weaving as a whole. 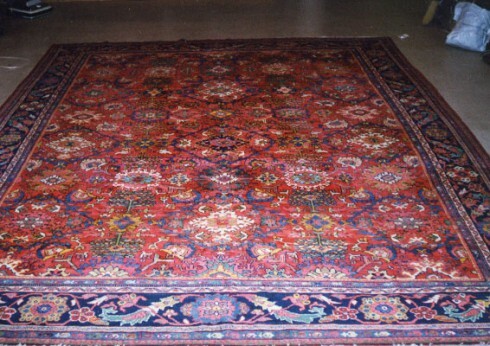 Their great achievement—to masterfully synthesize traditional folk art and contemporary craftsmanship—would in the decades that followed come to define the international standard for quality village carpets of Persia. Though the Mahal rugs are in general considered to be fine achievements of the 19th century classical carpet genre, a rarified group known as the Ziegler Mahals have earned an outsized reputation all their own. Named for the international firm, Ziegler & Co, that oversaw their development, Zieglers were produced with conscious intent to be the greatest examples of the form. Employing master weavers to work with the region’s finest wools and natural dyes, the firm operated for about 50 years, exporting thousands of rugs to London, Paris, and New York. The Zieglers are visually similar to their Mahal cousins, but stand apart for their subtlety of color, spacious design, and extreme high quality of craftsmanship. Often monumental in scale, they feature significantly denser weaves than standard Mahals, often over one hundred knots per square inch. In terms of design, they reshape the original aesthetic of Persian Mahals subtly, refining the palette toward softer organic hues; redrawing classic motifs to be more finely balanced according to western taste. 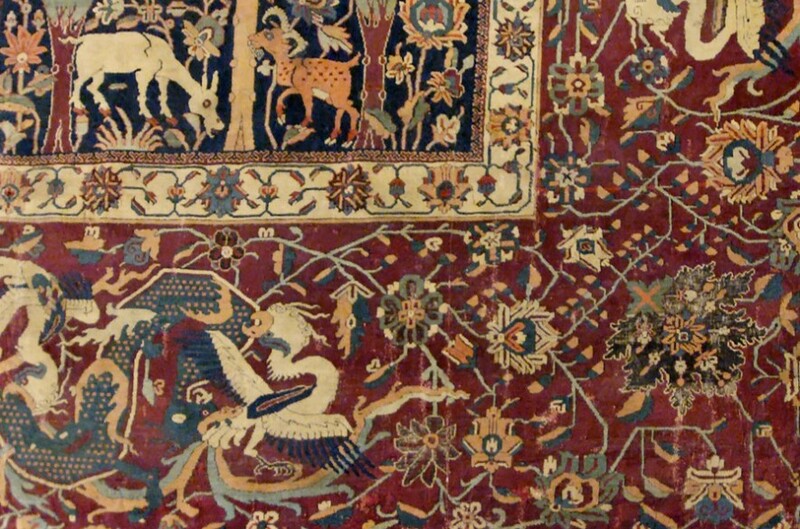 Ziegler was an Anglo-Swiss entity based in Manchester, and even prior to producing their famous Mahals had been one of the great suppliers of Oriental carpets to the west. Beginning in the 1870's, and continuing through 1934, the firm invested heavily in village rug-making workshops surrounding the cities of Sultanabad and Tabriz. They worked according to a unique and profoundly successful model: they contracted master weavers from town across the northwest and commissioned individual carpets for buyers in the west to buy their products. At the peak of production, Ziegler was operating an estimated 2500 looms in over 100 villages, and in 50 years of production the firm exported thousands of carpets to England, America, and France. As one of the first major rug-making companies to produce rugs for buyers in Europe and America, Ziegler in some ways defined how Persian rugs would be made by future workshops, and other ways stood entirely apart in its approach to the craft. 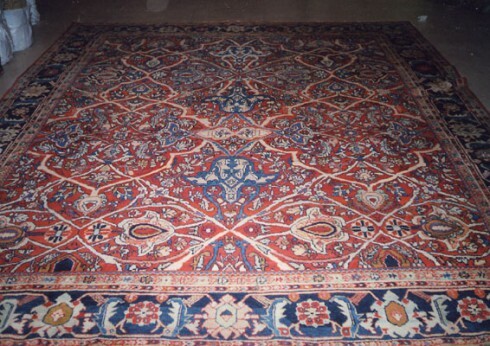 The firm is distinguished, first and foremost, by its close aesthetic interest in the carpets it exported. Ziegler did not simply finance its major rugs; it oversaw production and even created many of its own classically-derived designs. Today, the carpets are not only regarded as the most perfect expressions of the Mahal form, but the Zieglers have even developed something of a cult following among connoisseurs. They combine the sincerity and whimsy of village design with a reserved, beautifully-defined aesthetic entirely their own. 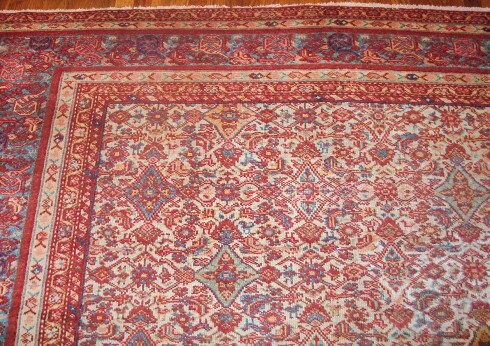 At auction, they consistently rank as some of the most highly valued rugs in the world.